The year of 2015 will be another year of growth and development and challenge for many. 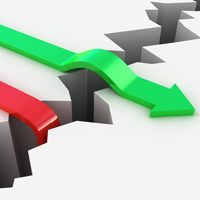 Organisations are often in the situation where their desire for change outweighs their capacity for change and therefore there is an uncomfortable gap. This gap is where productivity deficit, project failure and staff resistance lurks. As a change strategist working to reduce this gap and getting people comfortable with the uncomfortable is one of my key missions. I would like to talk about two organisations. Organisation A had a commitment to appropriately scaled change planning and governance, backed up with a commitment to supporting and growing staff and leader change agility and resilience. The executive knew leaders were critical, but wanted to ‘support our leaders to achieve our new vision’. They used skills delivery staff and had a balance of project delivery and change support embedded in their business. Organisation B had a more limited view. Organisation B’s executives felt that all change was the leaders’ responsibility and that given change management was in their position description they ‘should be able to do it without all heavy project and staff support crap’. They thought project management was ‘overkill’ and we can just get on with it or buy it in. Which organisation flourished, hit their goals and didn’t break the business and lose good staff in the process? No surprises, it was Organisation A. The organisation that invested that extra 5% and focussed on supporting leaders and staff to be part of the journey, with a clear and thought through change strategy and experienced delivery governance as opposed to Organisation B that assumed that leaders could do this change stuff, had a fuzzy vision rather than a detailed plan that accurately depicted the risks. Successful change management requires not only committed and energised leadership (which is essential) but also well thought through change plans and strategies (program, project, communication, training, coaching or a combination of these), defined and active governance and assurance (at the delivery level as well as the strategy level) and targeted benefit focused delivery. Leaving it to leaders—who may be excellent or even exceptional at their technical roles, but not experienced in the areas of leading change—is a riskier approach. It can work for small changes, but the stories from organisations like Organisation B are very common: transformation will blow time, budget and scope and the good staff leave the floundering ship to newer more energising pastures. Leaders cannot be expected to be instant change leaders. They need to be given skills in change strategy, planning, resilience and messaging skills, have the chance to share stories and tactics about ‘changing the business’ as opposed to ‘running the business’. Where organisations are faced with this ever growing gap between desire and capacity, giving leaders opportunities to work up realistic change plans, set appropriate governance and develop their change leadership ability will make a huge difference. It did for the Organisation A mentioned above. They invested that extra 5% that brought a great return, a smooth transition and an engaged and informed workforce and customer base.